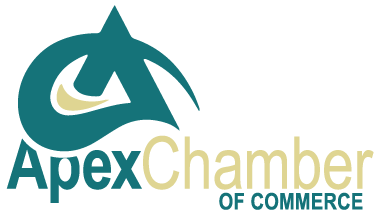 The Apex Chamber of Commerce is a voluntary, non-profit association made up of business people, professionals, churches, civic groups, and individuals working together to improve the quality of life and economic vitality of the Apex area. It is financed soley by its members. It is not dependent on tax dollars, and it is not an arm of any level of government. Our Chamber is governed by a 15-member Board of Directors elected by the membership, who in turn hire an executive director to execute the programs and policies adopted by the Board. Our office building is located in the historic Apex Union Depot, which was built in 1914 and listed on the National Register of Historic Places. The Apex Chamber of Commerce has been serving the businesses and citizens of Apex, North Carolina for more than 4 decades. The Chamber provides helpful maps, relocation information, business referrals through our Online Member Directory, and maintains a calendar of Apex events. Locate the Apex Chamber of Commerce using Google Maps!